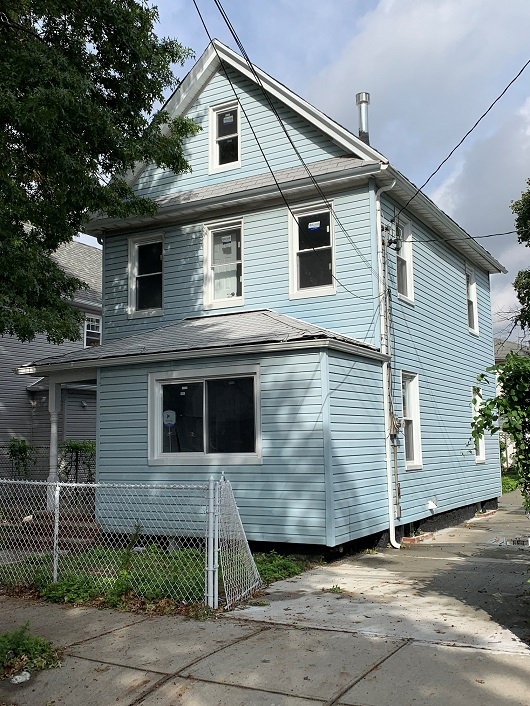 A gut-renovated single-family house nestled on a tree-lined street in Springfield Gardens, this 3-bedroom, 2.5-bathroom home is an exemplar of contemporary Queens living. Features of this 3-story, 1,716 sq. 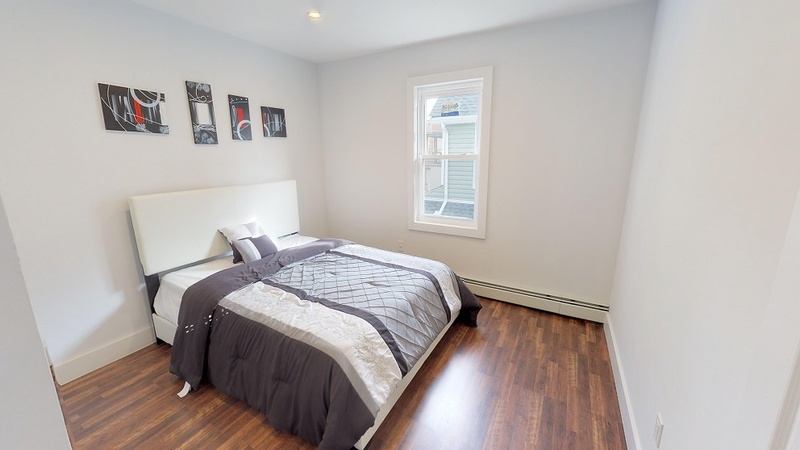 ft. home include gorgeous hardwood floors, a lush backyard, recessed lighting throughout, a finished basement and attic, and a private driveway and garage. 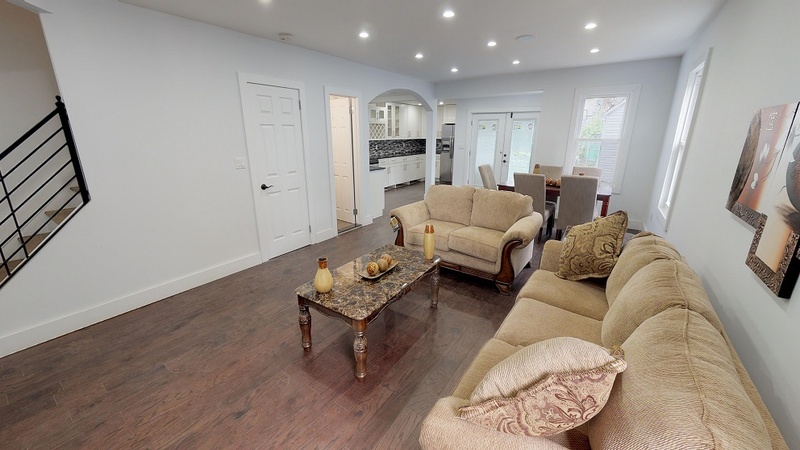 The first floor of the home opens directly into an expansive living room, dining room, and kitchen. 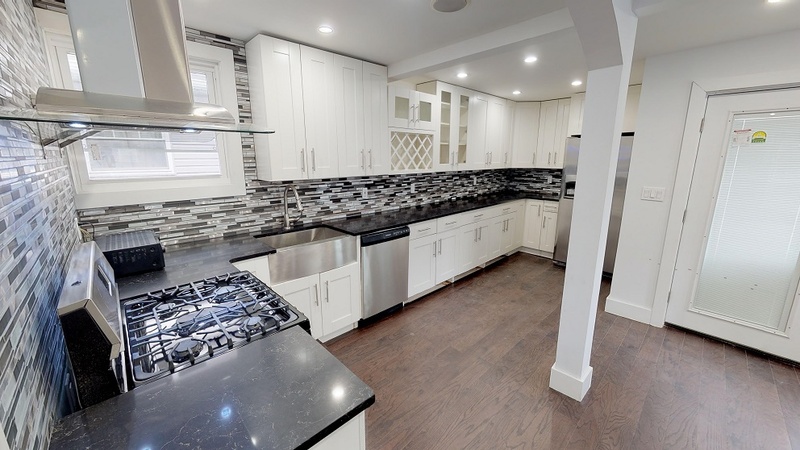 The windowed kitchen leads out into the backyard and is equipped with dark marble countertops, a mosaic tile backsplash, white cabinetry, a stainless steel farmhouse sink, and a suite of high-end stainless steel appliances. The first floor also contains a guest bedroom and an immaculate full bathroom with marble walls and a step-in rain shower. 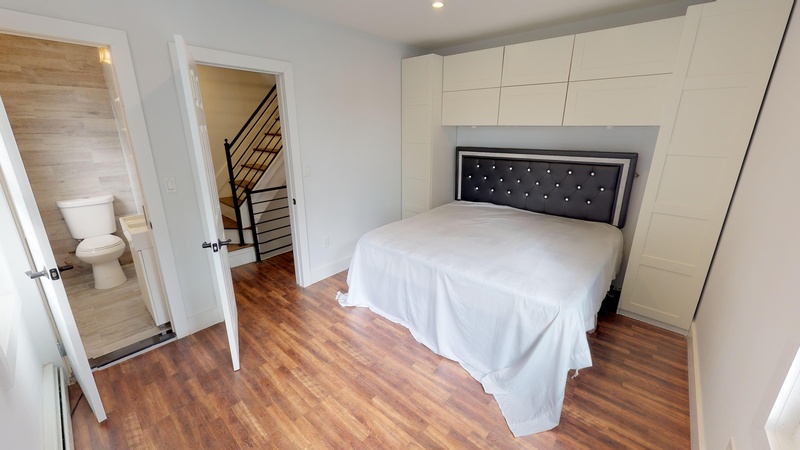 The master bedroom and an additional bedroom sit on the second floor of the home. The master bedroom possesses chic built-in storage and an en-suite powder room, while the second bedroom has a large reach-in closet and easy access to a windowed full bathroom with marble walls and a deep soaking tub. 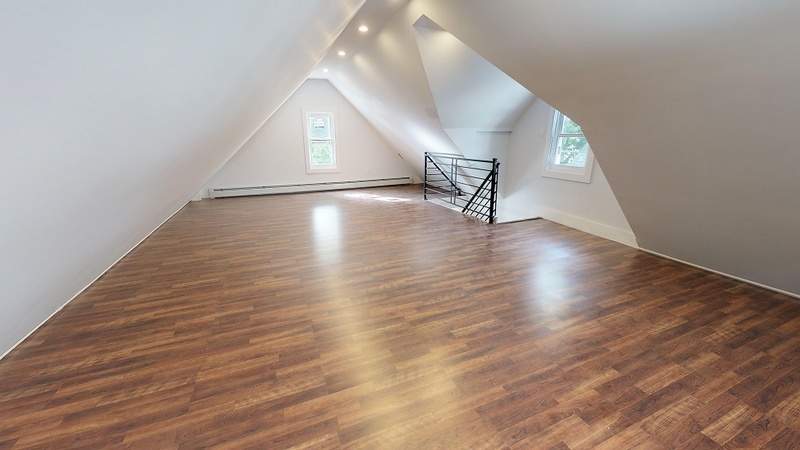 The attic and basement are completely open and perfect for use as office space, extra storage, play space, or as an exercise area. 177-15 145th Rd is just a ten minute walk to Springfield Park and is close to all the restaurants and shops that line Guy R Brewer Blvd. 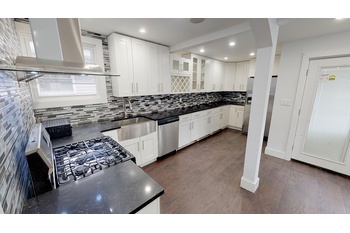 It has easy access to the Belt Parkway and is a short bus ride to the LIRR.